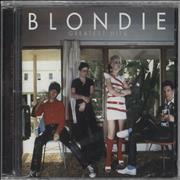 Blondie was the most commercially successful band to emerge from the punk/new wave movement of the late '70s. The group was formed from the remnants of Debbie Harry's previous group, The Stilettos and released their first album, 'Blondie', at the end of 1976. Blondie broke commercially in the U.K. in March 1978, when their cover of Randy and the Rainbows' 1963 hit 'Denise,' renamed 'Denis,' became a Top Ten hit. It was their third album, the classic 'Parallel Lines', released in 1978 that eventually broke them worldwide. The album contained 5 top 40 hits in the U.K. 'Eat to the Beat', the follow up album gave them their third British number one single, 'Atomic'. 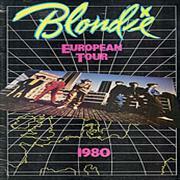 Blondie broke up in October 1982 and it was to be 16 years before we would shear any new material. They toured Europe on the back of the fantastic number one album 'No Exit'. In 2004 they released the critically acclaimed album 'The Curse of Blondie' which showed that the band was still sounding as fresh as they ever had. 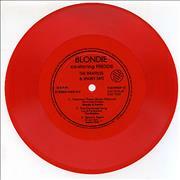 With such a fantasic selection of music to choose from there is no shortage of back catalogue rarities, amazing memorabilia and quality collectibles, all available right here in our specialist Blondie collectors store.